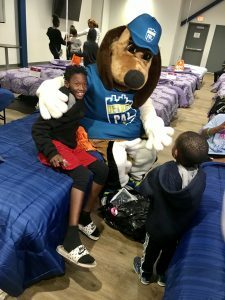 On Friday, September 28, the team from Hope to Dream at Ashley Home Furniture stopped by The Corner Ballpark presented by Adient for an amazing event with PAL kids. Hope to Dream has one goal: That every child around the world has a clean, unused mattress set to call their own. They reached out to Detroit PAL awhile back to help further their mission in the city of Detroit. That Friday, 50 PAL boys and girls arrived at the stadium and had the chance to participate in fun activities on the field. Then, a pizza party with a photobooth followed the on-field activities. 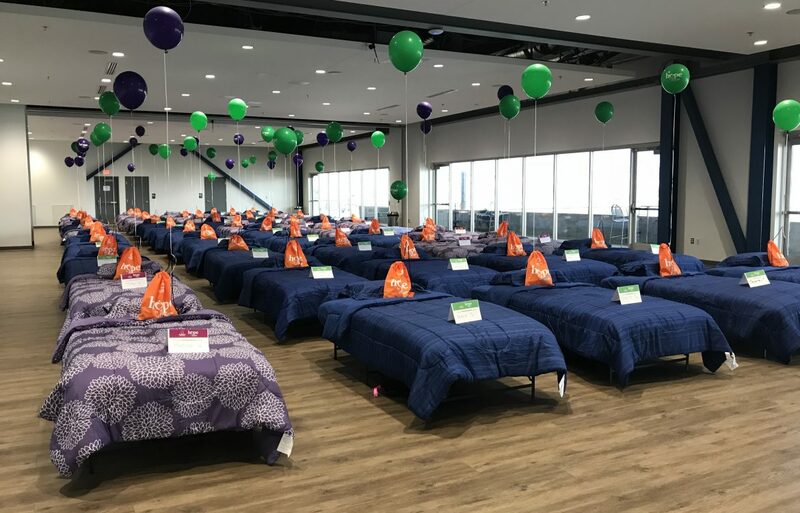 When the kids arrived upstairs in PAL’s Banquet Center, they were surprised to see 50 twin beds set up with their names on it! Each child had the chance to find their own new bed (including a frame, mattress, bedding set, and bag of goodies). The kids and the parents had a great time at the event and were able to take home a bed that was just for them. Detroit PAL cannot thank the team at Ashley Home Furniture and Hope to Dream enough for choosing Detroit PAL for this special event!